Honor’s Corner continues to be a work in progress. 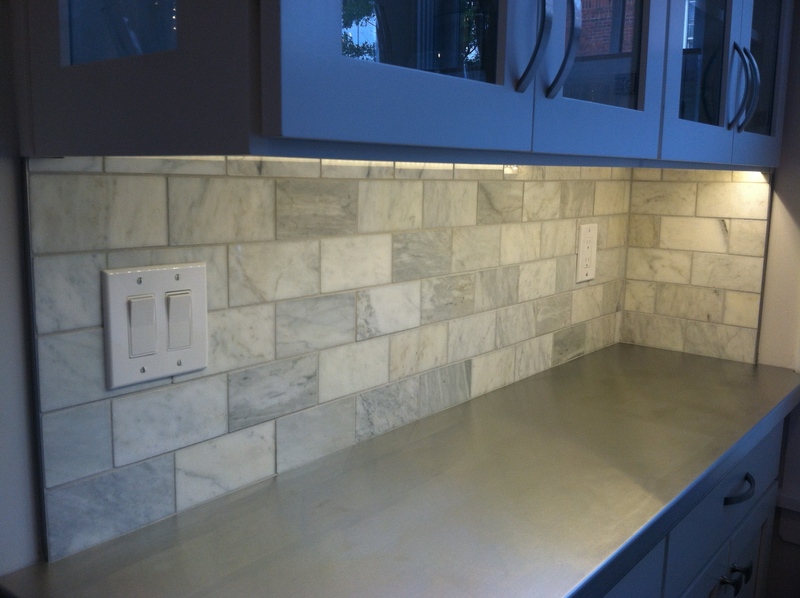 Last week John was able to install the back splash in the kitchen and laundry area while he waited for the back porch tile to arrive. The thought never occurred to me that for two days, while installing the tile, John would be working in the direct path to the cat box. Our timid and fearful kitties were forced to find a few alternative places to relieve themselves. While in the throes of this discovery, the main sewer line clogged again and as before backed up into the shower. What a mess! I have to say that Woodfin is one amazing company. They were here right away and just as pleasant as ever! It took them two days to identify the problem and make the final replacements to the line so that we now have a completely new sewer line. 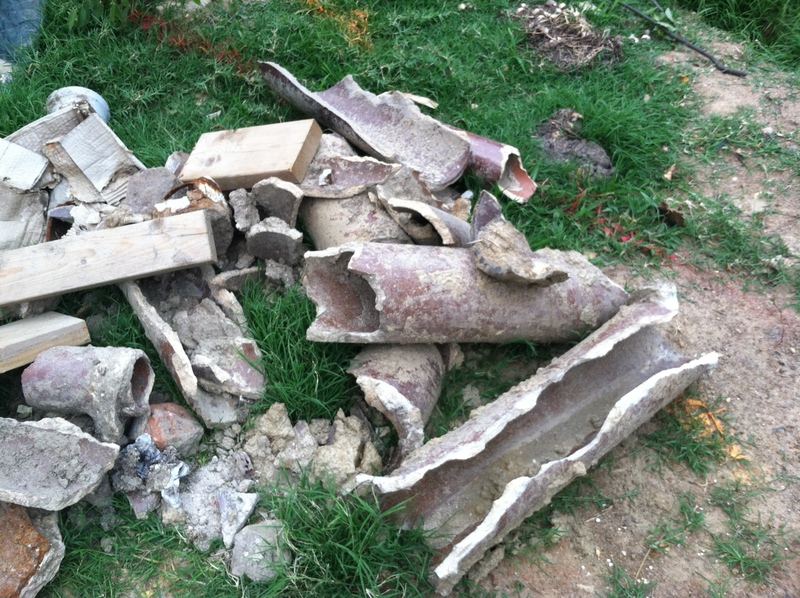 Crumbled pieces of the century old terra cotta pipe lay in a heap in the back yard. Periodically, during the repairs, our water use was limited. The kitchen was torn apart with tile and grout, the cats had messed around the house, there were remnants of sewage in the shower and I had limited water. It was a little crazy and I was definitely stressing. I have mentioned in the past how Mallory has a knack for keeping me grounded. Amidst the chaos, this water color rendering appeared on the coffee table. Later that evening I was outside cleaning up the yard and hauling trash to the alley when I noticed a young woman sitting on the grass strip between our sidewalk and the street. We had noticed her a few times before in the clover patch and assumed she was searching for 4-leaf clovers. As she was leaving I saw that she was carrying a bouquet of clovers. We chatted and she informed me that she had found about 50 of them! 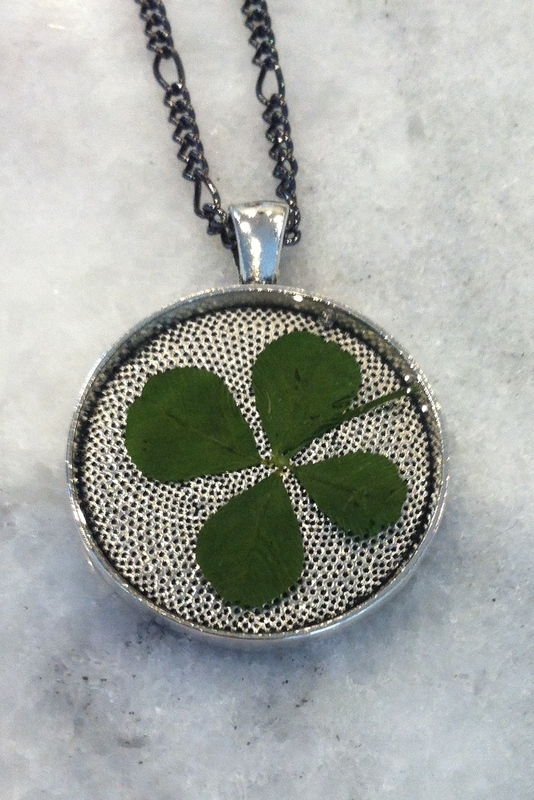 Apparently we have a lucky spot by our walkway and our neighbor Elise was thrilled to have found dozens of the tiny leaves to press and use in her jewelry designs. What a neat idea! I told her she was welcome anytime to pick clover. Wouldn’t you know it…later that evening she rang the doorbell and presented me with a lucky pendant! I will treasure it and it’s symbolism, the reminder of how blessed we continue to be while building our new life on the corner. Two weeks ago our son graduated from The United States Naval Academy and in another day or so, our youngest will graduate from high school. Two weeks, two graduations. 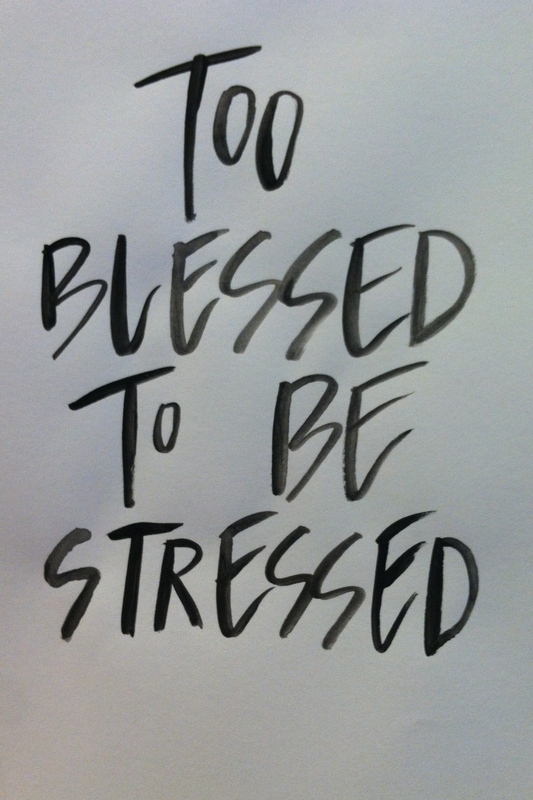 Too Blessed to be Stressed!